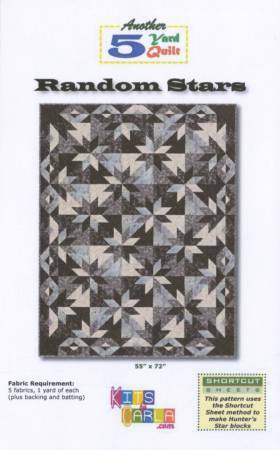 This quilt is made using the Shortcut Sheet method for Hunter’s Star. This fast and no-fail method is fun for beginners and experienced quilters alike. Five fabrics, one yard of each, makes it convenient to select fabrics from precut yardage bundles. SHORTCUT SHEETS: This pattern uses Shortcut Sheet methods for making the units.